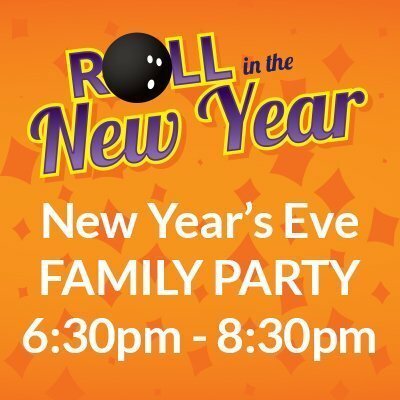 Lane reservation for up to 6 people for our New Year’s Eve Family Party. 6:30pm – 8:30pm time slot. THIS PARTY IS SOLD OUT. Please call us to reserve a different party time. Come spend an afternoon at Pinz Bowling Center and have a great time in a fun family atmosphere. Choose from one of three time slots that best fits your schedule. Enjoy a non-alcoholic toast to the New Year at the end of the party. Each party is limited to the first 28 paid reservations. These parties sell out every year, so get your reservation in early.